We have been constantly striving to identify opportunities and innovation that are relevant to our customers. As part of this quest, we have identified Blockchain as an area of expertise that we would like to focus in the coming years. We see a number of use cases and opportunities that are driving growth for our customers. Our engagement with Blockchain technology started years ago and today we have successfully helped our customers implement Blockchain powered PoCs and business systems. Our expertise in Blockchain technologies include solutions such as Smart Business Contracts, Distributed Blockchain implementations, Customer Loyalty & Rewards System, Wavier contract Management Systems and more. From smarter financial transactions to more authentic business contracts, Blockchain technology is hailed as the next big game changer after the dawn of the internet three decades ago. Across the globe, reports have stated that utilizing Blockchain technology can help banking institutions save up to $12 billion in costs annually. Besides, today Blockchain centered projects are expected to procure a minimum of $1 million in project funding from stakeholders which clearly shows that the tech industry has a new mine to explore. We engage in partnerships with enterprises as well as startups which seek to leverage Blockchain technology to innovate. We assist in the entire process of translating existing and new business logic into the paradigm of smart contracts on shared ledgers by offering the full range of services to adopt the technology. Multichain is one of the most popular blockchain frameworks. Permissioned (only selected entities can connect). 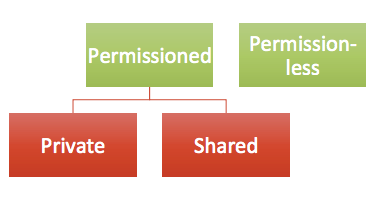 Permissioned blockchains can be private (one entity controls all the nodes) or shared (multiple entities control nodes). Our Blockchain team has in-depth and hands-on experience with blockchain technologies and implementation. We use the following technologies. Ruby Software’s Employee Experience PoC project is intended to streamline the process of verifying the employee’s work experiences and to retain it for future use. The hiring process requires the verification of documents submitted by the prospective candidate. The candidate may have to carry/send the original or copies of certificates. This takes time and effort. The certificates can be fake and there are call centers impersonating the company that the person had worked on. The employers verify the documents may be through agencies who investigate the background jobs of people. Information generated through trust is made available for all to see, thereby enabling everyone’s participation in validating the experience of an employee. This is made possible through decentralized application and Blockchain technology. Third party intervention is removed and transactions are visible to all. It’s not alterable and hence can persist and accessed. Thus the employee need not carry/send the certificates everywhere. Network is run by members, not by a centralized authority. A brief overview of our Blockchain projects is given below. Distributed mobile applications on Blockchain. Research area is Decentralization and Blockchain technologies. Application to implement Know Your Customer (KYC) functionality on the Blockchain using Solidity programming language. Experience with Blockapps and Xamarin to create an android application on the Blockchain. Integrating Blockchain with autonomous cars. Traffic and Road Anomaly detection using OpenCV and Ethereum. At Ruby, we are creating the core building blocks to scale the technology towards broad adoption of public Blockchain systems. We are committed to advancing the technology and are working on a range of PoC projects. Our expert team of in-house Blockchain developers takes care of the full development stack, from deploying nodes and writing smart contracts to front end, mobile applications and graphic design. Before we begin development, we provide independent strategic advice as to whether blockchain is suitable and adds genuine technical value in solving a particular problem, and if so, which of the available blockchain technologies is best suited. 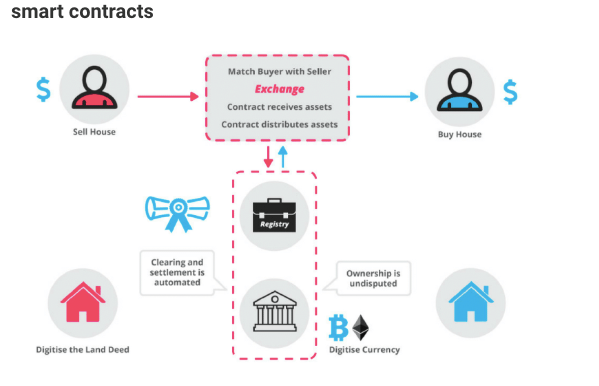 There’s a major difference between writing smart contracts for proof of concept in a lab environment, and architecting and deploying a distributed blockchain application into a production environment. All of our applications are designed from the start to incorporate the lessons we’ve learned through deploying to both startup and enterprise production environments. Our Blockchain Consultants are trained Computer Engineers with over two years experience in Blockchain technology and smart contracts hands-on implementations. Some of our consultants are currently undergoing Ph.D. in Software Engineering. They have published books on Blockchain Technologies and Smart Contracts (Decentralized computing).